The Second Nanonetworking Day will be held in Barcelona the 23 of June, 2010. 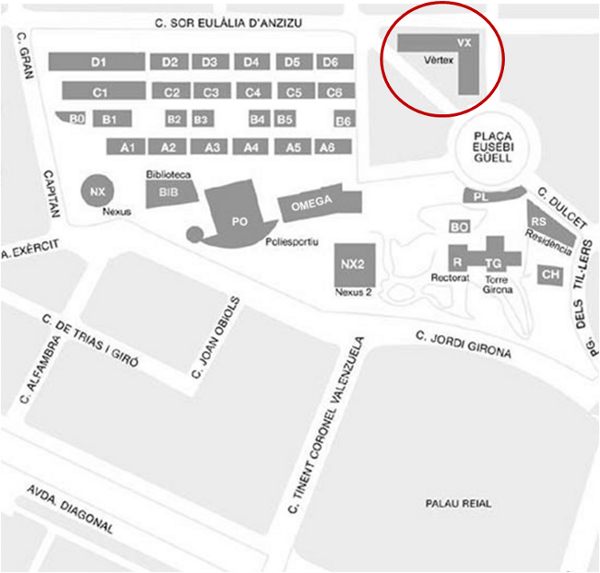 The conference will take place in the Campus Nord of the Universitat Politècnica de Catalunya in the "Sala d'actes" of the Vèrtex Building. The best way to reach UPC is by taxi. If you choose this option, please tell the taxi driver to bring you to number 6 of Eusebi Güell Square. At that point, when you get off of the taxi, you will find the Vèrtex Building. If you prefer to go by public transport, you can visit the TMB web page where you will find the best way to reach UPC. The destination street to indicate is Eusebi Güell, 6. The closest Metro (Underground) station is: Palau Reial (Green Line L3).